There’s an art to buying investment property. There’s an art to buying investment property. John Collett asks the experts where to look to get the best results. House prices may be treading water, but a good investment can still be found if investors focus on yield and are realistic about the prospects for price growth. Investors are more likely to want to be compensated with higher gross rental yields than in the past when easy capital gains were assured. Property experts say good properties on yields of more than 5 per cent can be found in Sydney and Melbourne, but they agree the better opportunities are now in Sydney. Other experts, such as the founder of buyer’s agent Metropole Property Strategists, Michael Yardney, say as long as investors do their homework and buy the right property, capital gains will come down the track and buying on a yield of less than 5 per cent is acceptable. Yardney, an author of books on property investing, says the aim should be to buy below the intrinsic value of the property in areas known to give above-average capital growth, which has scarcity and to which value can be added. Yardney generally favours apartments over houses and older apartments over new apartments. Older apartments can be bought more cheaply because buyers are not paying a developer’s margin. There are also opportunities to improve them, he says. Investors should ride the trend towards apartment living as more people ”swap their backyards for balconies”, Yardney says. There are more one- and two-person households, and more time-poor people who do not want a house on a big block, he says. He favours older apartments on good public transport links that are not that far from the central business district. Investors should also buy in areas where there is a preponderance of owner-occupiers rather than renters. ”Strong capital growth has always been driven by owner-occupiers,” Yardney says. That’s because owner-occupiers are more likely to buy with their hearts rather than their calculators, he says. Sydney has the better prospects for investors. Rents for properties in the middle and lower price brackets in Sydney are rising at just less than 8 per cent a year because of an under-supply of properties in the city. In Melbourne, by contrast, rents are mostly stagnant and will likely take years before the city has digested the huge supply of inner-city apartments and new houses in Melbourne’s outer suburbs. Property prices in Melbourne have fallen about 10 per cent since their peak in 2010, after a very big run-up in the preceding years. But prices in Melbourne do appear to be stabilising. Though house prices are also treading water in Sydney, investors are being compensated for that with rising rents, says the managing director of specialist property researcher SQM Research, Louis Christopher. ”The numbers for investors in Sydney are starting to make sense, with a gross rental yield of 5.5 per cent for an inner-city property,” he says. It is dangerous to generalise about Australia’s two largest property markets. While rents in the lower and middle-price markets in Sydney are rising, rents are stagnant or falling for more expensive properties in Sydney. Christopher says the ”sweet spot” for investors is the cheaper end of the Sydney market. Yardney says that with higher-priced properties, not only is the yield generally lower than for cheaper property but the pool of potential renters is also smaller. Christopher says investors should look at the outer-ring suburbs of Sydney where rents are rising fastest, and particularly suburbs well serviced by railway lines, such as Liverpool and Penrith. The principal of Smart Property Adviser, Kevin Lee, favours outer suburbs such as Campbelltown, St Marys and Werrington. In Lee’s opinion, the best buying is among units selling for about $200,000, which will typically have two bedrooms in a red-brick, two- or three-storey walk-up with no lifts. They usually need repainting and re-carpeting and have strata levies of about $400 a quarter, compared with much higher strata levies for newer apartments with gyms and swimming pools that need to be maintained. Lee says that with a purchase price of about $200,000, a 10 per cent deposit and an expected rent of about $280 a week, the gross rental yield works out at just more than 7 per cent. That more than covers the interest rate on the most competitive mortgage rates, which on variable-rate loans are a little more than 5.5 per cent. Often, even when the costs of holding property are included, the investment can work out as cash flow-neutral. Lee does not like negative gearing, in which the rent does not cover the interest costs and other expenses, and the investor claims the shortfall as a tax deduction. He says it means rent is not high enough and the landlord is supporting the tenant’s lifestyle. Yardney says that with the costs involved with property, it is difficult for investors to be cash-flow positive, which is why investors need decent capital gains in the long term to come out ahead. He prefers Sydney’s inner west to the outer suburbs. ”Proximity to public transport and the CBD is always going to be important,” he says. buck at the moment” are apartments that are priced between $400,000 and $500,000. That amount will buy some really good two-bedroom apartments. His preferred picks include apartments in the inner-western suburbs of Marrickville, Dulwich Hill and Ashfield. Melbourne’s oversupply of vacant properties in the outer suburbs and a large number of new, off-the-plan apartments in the inner Melbourne CBD mean investors have to tread carefully, Yardney says. ”Oversupply will likely overhang the market in Melbourne for years,” he says. For investors with less than $400,000 to invest, he favours one- and two-bedroom apartments in St Kilda, Carnegie, Caulfield and Glen Huntly. The managing director of buyer’s agent Buyer Solutions in Melbourne, Janet Spencer, has been buying on behalf of investors in areas of Melbourne where there is good demand. ”Although the market is patchy, there are pockets that are performing quite well,” she says. Buying well is all about doing the research first. ”You have to do your due diligence before you buy,” Spencer says. ”Look at the vacancy rates in the area and buy the right property that is going to have some appeal. Spencer’s top picks for investors include apartments for less than $500,000 in St Kilda and Carlton, near the University of Melbourne. ”There is a perception that it is always strongly priced there [in Carlton], but there have been good buying opportunities in the past 12 months, particularly with apartments,” she says. Soon after their arrival from Russia a few years ago, Maria Andreeva and husband Yuri Nosach started buying investment properties to help secure their financial future. The couple, who will soon be a family of three, has four investment properties in Sydney where they live. Initially, the couple lived in Tasmania and, while still there, bought a two-bedroom apartment in Bondi, plus a one-bedroom apartment in Bronte. Maria says they always wanted to invest in Sydney because of its strong employment and population growth. But the couple needed help and used a buyers’ agent with a good knowledge of the Sydney market. Maria and Yuri have been advised in their property acquisitions and investment strategy by Michael Yardney of buyers’ agent Metropole Property Strategists. 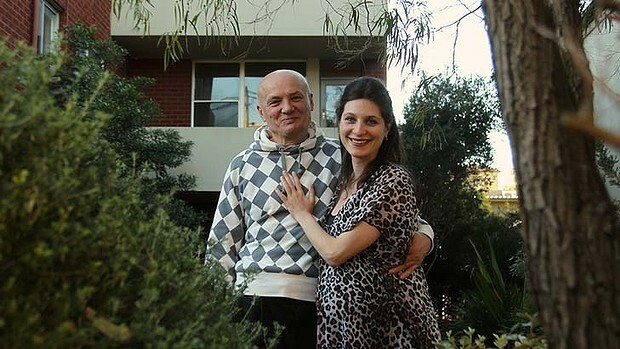 Maria, 35, is an accountant with a book-keeping and tax business and Yuri, 56, is a social worker. Maria considered buying off-the-plan apartments but was worried there may be too many similar apartments arriving on the rental market seeking tenants at the same time. She opted for older apartments instead. The couple moved to Sydney 18 months ago and live in a rented apartment. Not having a mortgage on a residential property allows them to afford a larger portfolio of investment properties. Good capital growth in the original two properties allowed them to borrow more to purchase a further two investment properties earlier this year – a two-bedroom apartment in Marrickville and a house in St Peters. Maria and Yuri’s strategy is simple – as rents rise and the mortgage is paid down they will, eventually, be able to live off the rental income. There are some tentative signs that house prices in Sydney and Melbourne have stabilised as the four cuts in interest rates by the Reserve Bank since November work their way through the economy. RP Data-Rismark’s capital city home price index rose 0.6 per cent in July, following a 1 per cent rise in June after months of flat prices. Prices in Sydney rose 1.2 per cent, and 1.4 per cent in Melbourne, in July. Prices in the other major capitals fell. Confidence of home buyers and investors, however, is still being sapped by the gloomy outlook on the global economy. Auction clearance rates are still hovering between 60 per cent to 70 per cent in Sydney and Melbourne, compared with the peak of the market in 2010 when clearance rates were more than 80 per cent. Louis Christopher says the prospects for capital gains are better for Sydney than for Melbourne. Supply is still strong in Melbourne and that is going to continue to put a dampener on prices there for at least two years, he says. The Australian economy continues to do relatively well, with good growth and low unemployment, Michael Yardney says. ”What is missing is confidence, and people are holding off making big decisions,” he says. However, the property price data shows ”we are on the cusp of the stabilisation stage.” But he is not expecting prices to boom because, as the market improves, sellers who have withdrawn their properties from sale will put them back on the market.